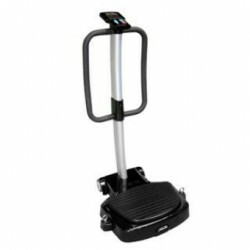 Vibration trainers are one of those pieces of fitness equipment that seem to baffle people a bit – they don’t know how it works, how to use it or whether it could help them. Well, I’ve just added a new article all about vibration trainers which will hopefully clear a few things up. As always, if you have any questions, contact us or come in to our Hobart store – we’d love to give you some more info and help you find the right one for you.